For me, Primark can be a bit hit and miss - sometimes they can get things really spot on and other times... well, other times they don't get it spot on. But during my latest visit, I was super duper impressed with what Primark had to offer in their home section and actually think they've got things bang on at the moment. Although I'm still in uni (meaning I only have the teeniest tiniest room to decorate and make look lovely) I do still love shopping for all sorts of homey things - pillows, candles, fairy lights, decorations etc. So you can imagine my excitement when I got to Primark to realise that they had all of these things and more. I'm talking dainty boxes, pretty patterned pillows, birdcage fairy lights, the lot. Being a student means I unfortunately couldn't blow all of my pennies in Primark but here are a few lovely things I picked up. Waking up for 9am lectures can be quite the task, so I bought this simple but extremely cute mug in hope that it will make early mornings a tiny bit more bearable. Eeeep! I think I let out a little squeal when I saw this, and then squealed a little more when I saw the price. 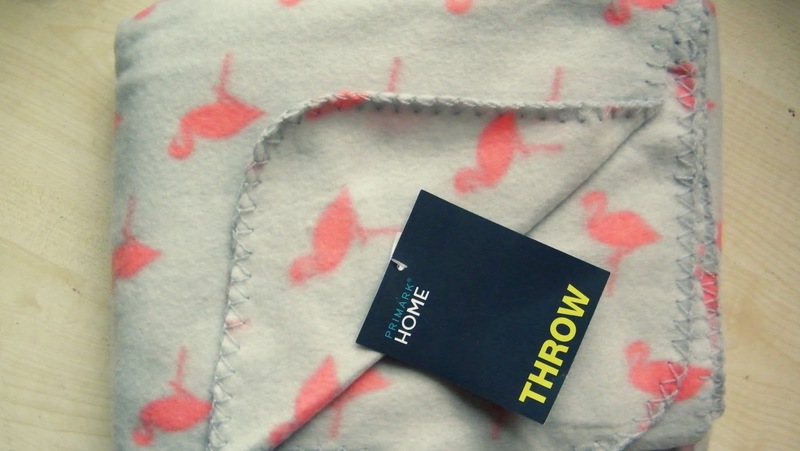 Anything with flamingos on I find super cute and think the print is perfect for the upcoming Spring/Summer months. They were lots of other blankets on offer too - including a cute tropical palm tree print and some tartan. I think blankets like this can be used for so many different things - to snuggle down at home, take out on a picnic, take to a festival to keep warm, and more. Big blanket love this Monday! I have been on the look out for a dainty, almost vintage kind of box to keep my jewellery in for a while now. Although I have a jewellery stand for necklaces, bracelets etc I have nowhere for all my loose earrings and rings, so when I saw this little bad boy I had to take him home. With a glass front so you can see into the box and a cute vintage finish, I think this is the sweetest. It also says 'Maison' along the front which is French for 'house' - adorrrrable. Ok, I mainly picked this up because of the price. I am, as we all know, a candle obsessor and I love trying new scents and ranges. I've bought tea lights from Primark before which have proved to be pretty good, so this time I thought I'd step it up a little and go for this cutie in a little glass jar. It smells delicious and says up to 10 hours of burning time on the label! For 80p!? Sweeeet. I hope you enjoyed my rambley little account of my latest Primark home purchases, and if you love little homey things like me, I really recommend popping in there yourself to see what they've got. I love Primark for their homewares, they are so pretty and affordable. Lots of beautiful items you got. Oh wow I love that mug, I don't think I've ever been in a Primark. Must check it out next time I am in town. I just love the pineapple and ginger candles. I always pick up a few when I'm in. 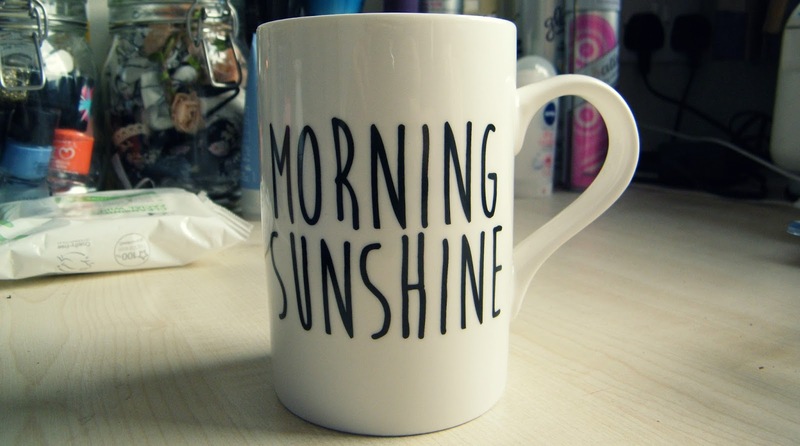 Ooh it looks like they've got some nices bits in; I love the 'morning sunshine' mug! So appropriate when you really really don't want to move in the mornings. I love primark. You got some really great things, especially that mug! The mug us so cute! Wish I had Primark in my country.. Loved Primark when I was in Europe! Great haul. 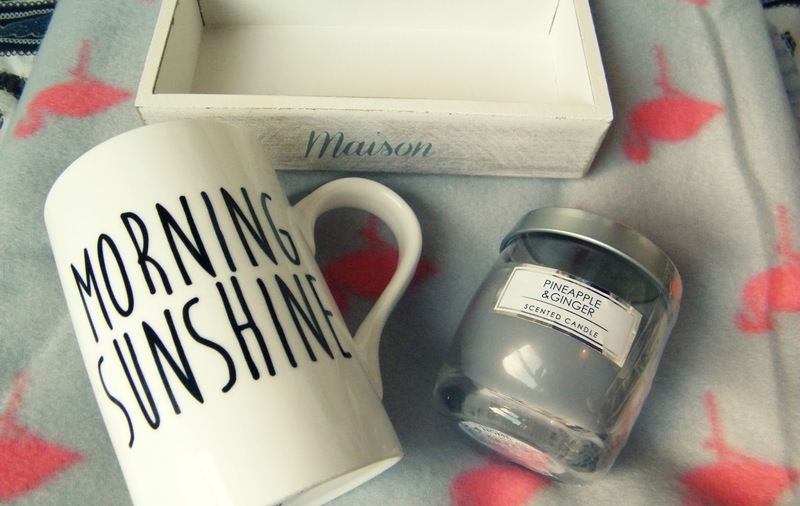 Wow thanks for sharing your lovely Primark haul - looks like they have awesome houseware! Primark is AAAMAAAZING for homeware, the closest one to us that is big enough for a homeware section is like an hour away though so i hardly get the chance to splurge on the homeware items:(! Aww that's a shame, you should try and have a look if you can - there's some gorgeous stuff in there at the moment. Great haul love everything! that candle is so cute I want to go get one. in love with the dainty box, ive also been on the hunt for something like that! great picks! I really like that mug and the dainty box! I've never heard of Primark until this post, but it seems like I need to look into them since you found so many ADORABLE goodies there! Love the mug and that little storage box, cute. Cheap oakley sunglasses for cheap close your eyes, and finally feel better some, with his middle finger her glasses, not far from cheap oakley factory outlet store for showing contempt, oakley factory outlet store Cheap oakley factory outlet store very sorry to pick up this live, the heart's own estimates three oakley factory outlet store days without eating, no wonder sale so I wear glasses, I see. then oakley factory outlet store smile and said Oh, you are the king of the teachers it, it really is that beautiful teacher.